Divorce is a stressful and emotional experience for all parties involved, but it can be even more stressful when there is an adopted child in the mix. Some adoptive parents wonder how divorce will affect the adoption. Depending on the circumstances and where you are in the adoption process, a divorce could have major consequences, or not affect it at all. If you are contemplating divorce, it’s important to speak to a Florida divorce attorney who can offer guidance and assistance to ensure your rights are protected throughout the process. If you are filing for divorce before the adoption is finalized, it could impact the adoption. Once an adoption is finalized, it means the legal process of permanently transferring a child from an agency to the adoptive parents is complete. Whether or not the divorce will stop the adoption largely depends on the terms of the adoption contract. 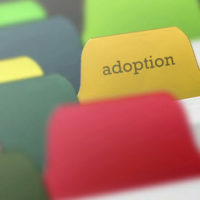 If the birth parents are involved, they may decide not to go forward with the adoption if the agreement contains a clause that the child must be adopted by a married couple. For birth parents that might be having second thoughts, this could give them the chance to get out of the adoption for cause. However, if they have already terminated their parental rights, they have no legal right to raise an objection. The judge is the one who has the final say, so he or she will take everything into consideration, including how the divorce will affect the child. This means the divorce could proceed as planned, or the judge may opt to modify it to name one spouse the adoptive parent, or they may deny the adoption outright. If you have adopted children and you are splitting up, your rights and responsibilities are still the same whether or not the child is yours biologically. You still have a legal duty to take care of the child and the right to make important decisions about their lives. This means, you have the right to choose where they go to school or what church they will attend. You also have responsibilities, like the responsibility to ensure they have a secure and safe home and to have all necessities, like access to medical care. Any parent who has gone through a divorce will likely tell you how worried they were about how it would affect their child. In a case with adopted children, there may be extra concerns since this is yet another transition in their life. They may be concerned that they are the cause of your marriage ending, especially if they struggle over why their birth parents did not want to raise them in the first place. Make a commitment to be good co-parents and put your adopted child’s needs first. If you are considering filing for divorce or your spouse has served you with divorce paperwork, contact the Law Offices of Schwartz | White at 561-391-9943 to schedule a consultation. Let one of our experienced attorneys help you with all your Florida family law needs.